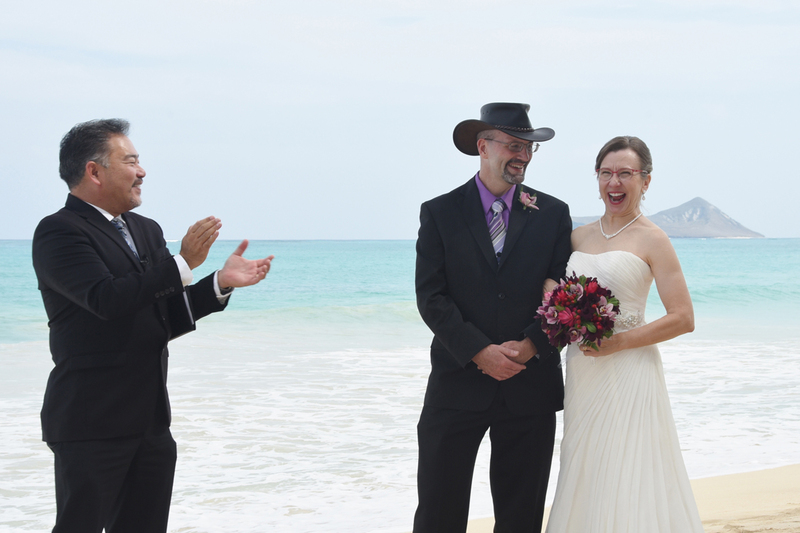 Jason and Suzanne look so happy! 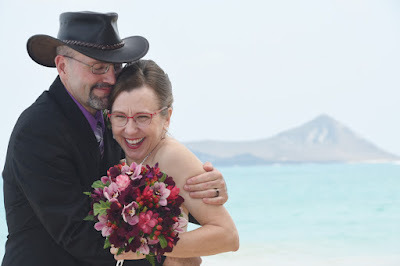 Precious couple! 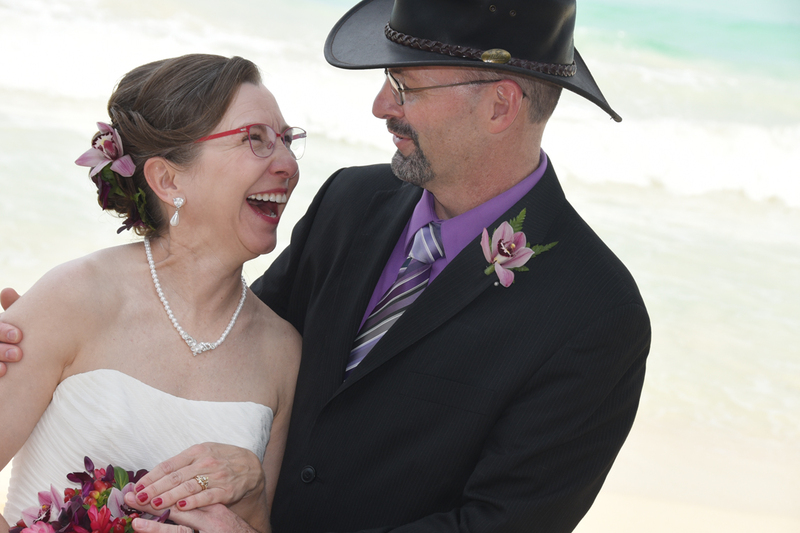 See the Bride's red, pink & purple TROPICAL BOUQUET. Rev. 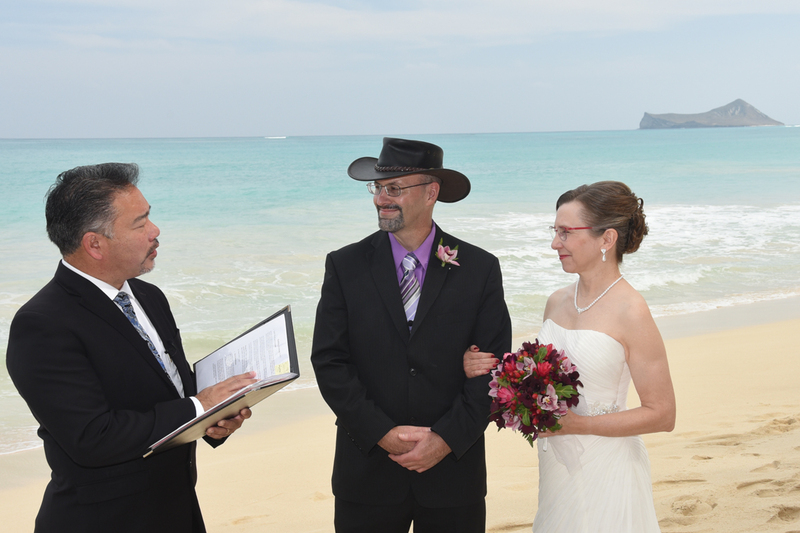 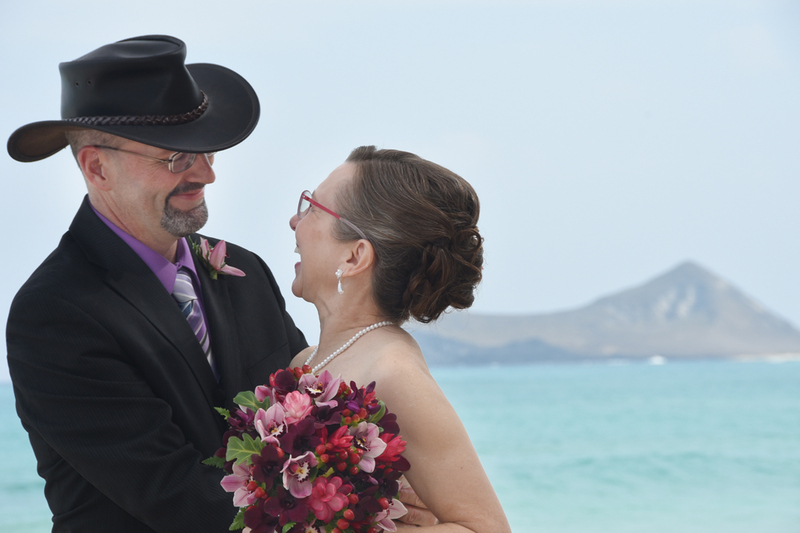 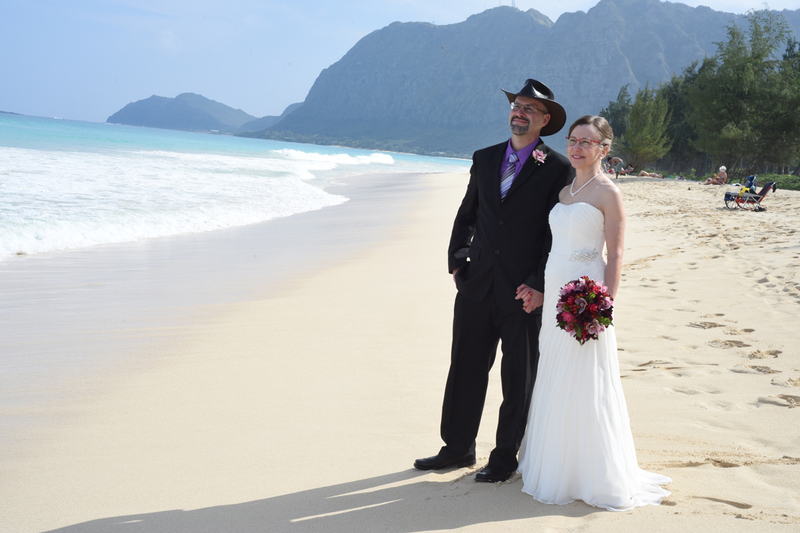 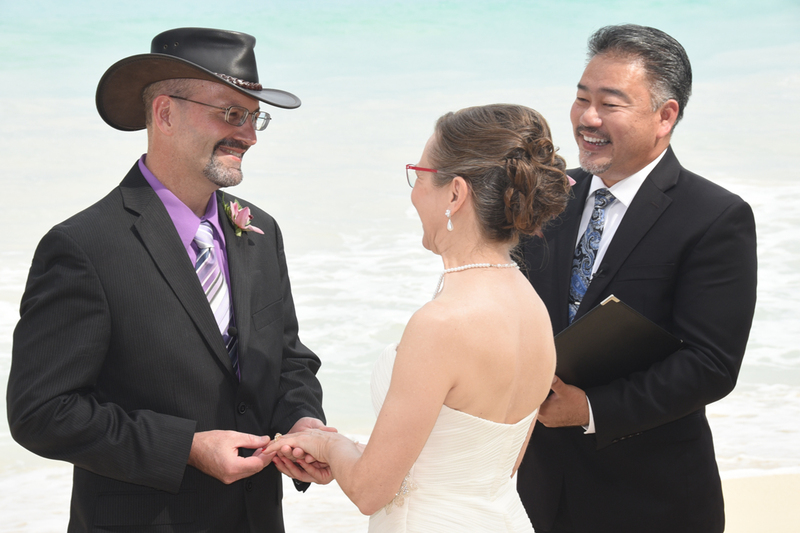 John performs the wedding ceremony for Jason and Suzanne at Waimanalo Beach. 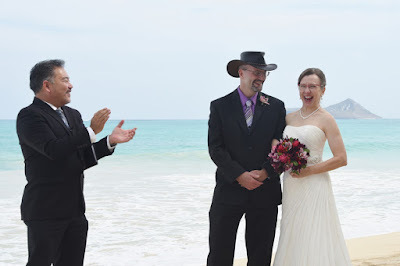 Such a happy (and nice) couple! Glad to be of service!